This Spicy Glazed Chicken recipe is perfect when you don't have time to cook. It's just the type of grilled (or broiled) chicken recipe you can make when you barely have time to breathe. My friend and frequent guest contributor, Holly Clegg, must have been feeling my distress in trying catching up on email, work, and laundry this week by sending me this easy to make grilled chicken recipe. Not only is this grilled chicken recipe a perfect weeknight dinner recipe, this would be terrific to make for parties, too. The best thing about chicken is that most people love it – except for my son, Nathan – and it’s very affordable. 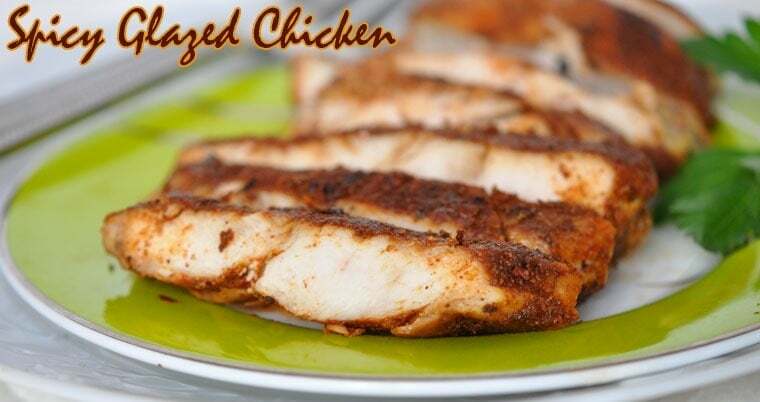 If you’ve seen the price of steak lately, you’ll be glad this Spicy Glazed Chicken recipe is at your beck and call! Holly suggest serving this with a green salad or grilled corn. A side of quinoa, rice or watermelon salad would be terrific, too! You can find more of Holly’s trim& TERRIFIC® recipes at The Healthy Cooking Blog. With the heat of summer brings the perfect grilling season, and I always look forward to the flavor the grill brings to meats and veggies. 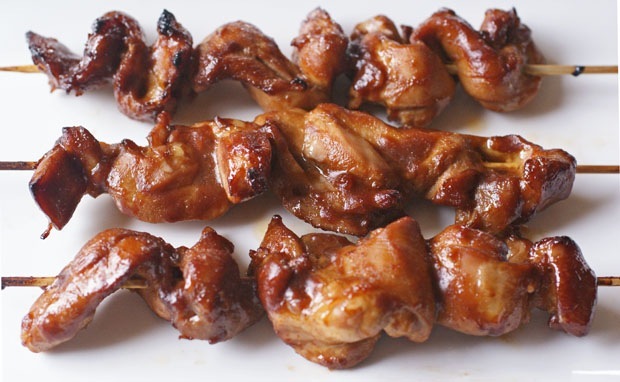 Try this outstanding twist on barbecue sauce with Spicy Glazed Chicken from my Trim and Terrific KITCHEN 101 cookbook. Impress guests at your cookout with the exciting and bold flavors and spice, all while being diabetic and freezer friendly! Add some grilled corn, a large green salad and your favorite brownies or cookies and you have a fun-filled trim and terrific meal to enjoy those perfect, end of summer nights! If you don’t have apple cider vinegar, any type of vinegar will work. No need to buy anything special! In the oven or on the grill, this spicy rub with a honey glaze turns chicken into a quick amazing meal. In a small bowl, mix together chili powder, paprika, garlic powder, red pepper flakes and season to taste. Coat chicken with rub mixture and transfer to prepared pan. Broil 5 minutes on each side (can grill) or until chicken is done. In a small bowl, mix honey and vinegar. Turn chicken again and baste or coat with honey mixture, cooking a few minutes or until honey starts to thicken and forms a glaze (may smoke a little). Posted in Gluten Free, Recipes and tagged chicken, grilling and smoking, Holly Clegg, party food on August 6, 2014 by Anne-Marie Nichols. Mmm these look really good. Holly does such a great job. Everything she makes is delicious!